Mexico's central valleys are home to several of the highest summits in North America; El Pico de Orizaba (18,491'), is the third highest while its neighbor Ixtaccihuatl (17,340') ranks as number seven. 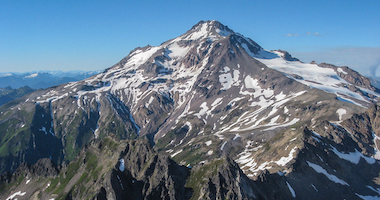 Scale several of North America’s highest mountains over the course of one short climbing expedition. Bring your climbing to new heights with multiple ascents that combine high altitude experience with basic technical difficulty. From its glaciers to the small traditional towns of the country’s heartland, visit a rarely seen yet captivating side of Mexico. We begin our adventures in Mexico City, staying near from the quiet Zona Rosa that is one of the famous historical centers of the city. From Mexico City we head to La Malinche, an extinct volcano whose crumbling core juts above the Puebla Valley. We use La Malinche to build our acclimatization in preparation for the climbs ahead, hiking and sleeping in cabins on the mountain’s flanks. We then turn our sights to nearby Ixtaccihuatl (Ixta), a broad ridged peak that overlooks Mexico City. Our ascent begins with a straightforward approach through alpine meadows to our high camp, Grupo de los Cien. Climbing directly up the Knees Route toward La Arista del Sol, we gain the summit ridge, making the airy ridge walk over a few "false summits" to the true summit of Ixta. As the highest peak in Mexico, El Pico de Orizaba is the crown jewel of the Mexican Volcanoes and our final summit of the trip. Our climb of Orizaba starts with an exciting twelve mile jeep ride that takes us from the valley floor to our camp at the Piedra Grande Hut, perched above 14,000'. 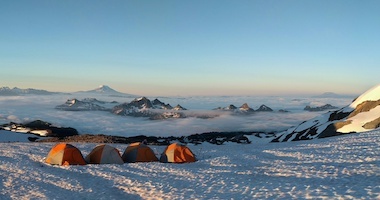 From our camp we make our way through the mountain’s rocky moraine to the toe of the Jamapa Glacier, climbing the glacier’s ice and snow slopes to Orizaba’s summit. Climbing in Mexico includes moderately steep slopes and prior knowledge of roped travel, crampon techniques, and ice axe arrest is recommended; a review of these basic mountaineering techniques is built into the itinerary. These climbs are ideal for mountaineers looking to build their climbing skills, reach new heights on some of North America’s highest peaks, and take part in the excitement of an international climbing expedition. 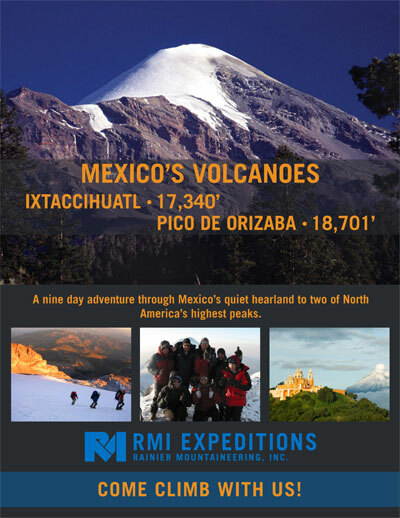 Our Mexico climbs are led by RMI’s foremost U.S. guides, who bring years of climbing experience in not only Mexico but on mountains all over the world, from the Andes to the Alaska Range to the Himalayas. As you reach higher elevations and test the limits of your experience, the value of an accomplished, highly trained RMI Guide held to our standards cannot be understated. We are also fortunate to have Servimont as our partners in Mexico. Our close relationship with them offers our trips the support needed to ensure a seamless experience and is a major factor behind our climbs’ successes. We use RMI's own climbing equipment brought from the U.S., ensuring that our expedition standards of safety, quality, and reliability are met. Our guides take the time to choose fresh food and excellent ingredients for our meals in the mountains, keeping our teams well fed, happy, and healthy throughout the climb. We use private vehicles to travel between the different peaks, minimizing our time spent on the road and allowing us to travel more safely. Our exceptional focus on detail, our unparalleled level of climber attention, and our genuine excitement for these adventures are what make our programs truly memorable. Safety has always been RMI’s top priority and we strive to create the safest mountain experience possible. RMI’s experienced team of guides focus on leading a fun and successful climb without compromising safety. 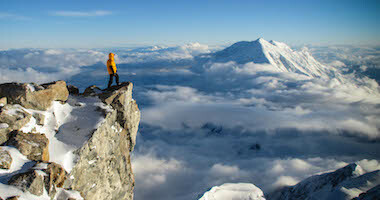 We apply the same standards of safety we bring to Alaska and the Himalayas to our climbs of Mexico’s Volcanoes. Careful planning, precise ascent profiles, daily weather forecasts via satellite, and diligent attention are taken as we venture to high altitudes. Comprehensive medical kits, rescue equipment, and radio and satellite communication equipment are carried with the team throughout the trip. The combination of travel and mountaineering. We had wonderful meals and local experiences in Mexico City and Puebla. The high camps were well run. Porter service was very friendly and helpful. Standing on top of Mexico was an Incredible experience for this farmboy but in all honesty the best part of the trip was from when I landed in Mexico city until I left Mexico city . The whole trip was PERFECT!!! I loved everything about this trip. The guides were superb and the itinerary was very well thought out. Aside from the climbing itself, I think this trip edged out Ecuador in terms of the cultural experiences -- though both were fantastic. It seemed we had a good amount of time in Puebla to really experience the food and people. Our group came together and we really encouraged each other well. We had great weather which puts a positive glow on everything we did. Fun, close team and guides. The journey up the gorgeous volcanos with great friends. The day off in Puebla was an unexpected great experience as well. It's a beautiful city. The organization and logistics were awesome and allowed for a stress free trip.The itinerary, lodging, and transportation was fantastic. The team was strong, experienced and dialed in. We had great group cohesion and Chase and Lucas blended well. It felt like family. I think if people only knew how much fun this trip was from start to finish, it would fill up even faster than your DC climbs do. I would certainly consider doing it again myself, especially if I could do it with Christina and JT. And I definitely will be recommending the Mexico Volcanoes trip to other climbing friends of mine. 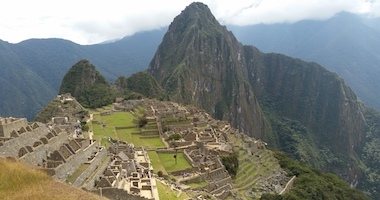 This is a great trip that offers high altitudes in a convenient little package! The group of people (including the guides) that it was shared with. Not only that I have an opportunity to climb on some beautiful and challenging mountains, but I also spent most of the week laughing so hard my sides hurt. RMI seems to draw good people to it -- the guides are obviously fantastic but the reputation of RMI brings good climbing parties together. I truly enjoyed getting to know the whole Team, whether that occurred on the mountain or on the bus, it was great! Guides were fantastic, especially in finding the delicate but important balance between safety, goals, and fun. The itinerary is great as it allowed us to climb 2-3 peaks but also see Mexico City, Puebla, some other small towns, and also have portions of team down time. Great memories that will last a lifetime. The variations in the climbing. Multiple mountains to climb. Cutting my teeth on higher altitudes and the easy going team. The guides made the trip enjoyable and a success and I eager to get back out and climb. I really enjoyed being able to see so many different places and be on so many different peaks in such a short period of time. The friends I went with all agreed it felt like we had done a three week vacation in 9 days due to the variety. The guides were also fantastic and perfectly balanced when it was time to help and when it was fine to let people be a bit more independent. Hiking! Getting to know our fellow hikers and guides was great and the cities were beautiful but we went there to hike and get in some mountains and that's what I like best. Even when it's cruddy it's awesome. Obviously, being in the mountains and getting to climb some major summits on the continent. I was pleasantly surprised at how well we ate at high-camps, the guides did a very good job of making the meals plentiful and also enjoyable to eat, even with the limited options up high. The hotel lodging in Mexico City and Puebla greatly exceeded my expectations. Also, Puebla is the perfect place to spend a rest day. There were many historical sites, as well as interesting architecture and festivities. It was very easy to fill up a whole day there. The climb was excellent. The guides are knowledgeable and experience. I enjoyed the cultural immersion of the climb. Solveig and Billy were great. Wonderful attitude and very skilled in the mountains. Loved both mountains; very nice climbing. The summit climbs, crushing some personal goals, talking with my guides on the mountain, meeting some new friends. We had a great group that was very experienced (I was the only one who hadn't climbed Rainier already). Everyone got along really well and knew how to have fun. The people in our group really made the experience fantastic. Jake and Christine included. The mix of culture and hiking made for a great mix. I came away with a totally different impression about the Mexican cities. The people were great towards us. Terrific hospitality throughout. The challenge of Pico was certainly there and I certainly would have been let down if we did not summit anything during our trip. Appreciate very much that our guides gave us a shot without compromising safety. Look forward to finding another RMI trip that blends cultural and climbing elements. I thoroughly enjoyed learning how to improve my mountaineering skills from our wonderful guides. I respected their advice based on their vast experience and was amazed with their patience during challenging times on the volcano. The way the team got along. Jake and Kristina's leadership styles definitely brought the whole group together as a team. Trying new things.....all of this was new to me. I don't think I could say what I enjoyed most, everything was great. The camaraderie and real spirit of teamwork and caring for each other during the trip. Guides and fellow climbers. Good mix of time on the mountain and culturally stimulation during rest days. Excellent knowledge by the guides and a caring atmosphere created a great group to travel with. It made a nice prelude to upcoming Denali climb with rmi. Good gear shakedown and lung stretcher. The logistics were seamless which allowed me to focus on my prep and performance. I liked the variety of the 3 climbs and the rest day in Puebla was a nice break.Was a great combination of van rides, hotels, tents and climbing days.Zeb, Robby, and Alfredo were great guides with very good organizational and teaching skills. Elias gave us good direction and helpful tips to make our climb a lot less stressful on our bodies. Really professional. Our in country guides were friendly and extremely helpful. Reyes compound was warm and friendly we felt like family when we left. We had a solid group of climbers with lots of camaraderie and support. We enjoyed each others company. I enjoy using mountain climbing as the focus while visiting a new place, getting to interact with some locals and experience their environment and culture. Stopping in a small town to have a taste of their homemade tortillas and having a day to explore Puebla was particularly memorable. The ability to see two cities in Mexico. We actually arrived a day early and visited many sites such as the Pyramid of sun and the moon. We truly enjoyed this extra day to tour Mexico City. Also, I loved the on day rest between Ixta and Orizaba and thought La Malinche was a perfect warm up hike. I also thoroughly enjoyed both Adam Knoff and Alfredo Chavez. They were both absolutely fantastic guides. The local guide and driver were very eager to share their extensive knowledge of both the geography and the culture. They also helped us find great food that we never would have known about otherwise. The climbs were fascinating and scenery breathtaking, but the comradery developed between this particular group of people and the guides was far greater than any other trip I have taken. It was kind of a fun group. All the details seemed really well worked out and organized. A challenging experience that will push your mind and body hard with the payout of million dollar views and experiences. We had a great group of climbers with world class guides. Great team, awesome guides. The expertise of RMI guides is outstanding. The leadership and professionalism of our guides. Challenging myself and sharing this experience with an old friend and new friends. It was a challenge to me physically and mentally. I thought it was an experience of a lifetime being able to be guided by Seth who (at the time) had summitted Everest twice. There is a lot you can learn from individuals with that much experience. Plus I have met some life long friends from this trip. the sense of accomplishment when finished. can't underestimate that. 2 summitas in olny 9 days, great logistics, professional and fun guides. Upon your arrival in Mexico City (7,300 feet), a taxi ride takes you to our hotel. Our hotel is near the heart of the city and the lively Zona Rosa with its many museums, shops, outdoor cafes, pubs and restaurants. We have an evening orientation meeting at 7:00 p.m. in the hotel lobby. Most major US airlines offer daily flights to Mexico City (MEX). Flights should be booked to allow for an arrival time in the early afternoon on Day 1 of the itinerary. Departing flights should be booked for 3:00 p.m. or later on Day 9. A valid passport is required when traveling to/from Mexico by air. Your passport must be valid for 6 months beyond the expected date of return. U.S. passport holders can stay up to 90 days without a visa. Upon arrival in Mexico City, you will be required to complete a currency declaration form which will be submitted to the authorities on your departure. You will also need to retain the "stub" of your immigration form for the duration of your stay, and present it upon leaving. Loss of this stub usually results in a fine. Upon arrival at the Mexico City airport, follow the signs through Immigrations. They will provide you with an entrance permit adequate for your stay. After picking up your bags, proceed to Customs where there will be a random selection of bags for inspection. As you enter into the main terminal building, you will be greeted by a crowd of baggage handlers. The scene can be a bit overwhelming. Just keep your bags together and find one of the airport's Authorized Taxi booths - "Taxi Autorizado." We recommend finding Taxi Sitio 300. Their website is in Spanish, but shows all the current fares. They have three locations right inside the airport. If exiting from the international arrivals hall "E1," there is an authorized taxi booth immediately to the right as you walk out the door. If exiting from arrivals hall "E2," there is an authorized taxi booth immediately to the left as you walk out the door. There is also a booth located at "Puerta 10." "Puerta 10" is where you will meet your taxi. Once you purchase your ticket, you will be given a receipt. Show this to the driver. The drive to our hotel is approximately 3.5 miles, and located in "Zone 5." The current fare is 127 pesos (approximately $20 US) for the ride. Unless you are coming in with a group, you only need to hire a sedan car, not a mini-van. There have been occasional reports of baggage handlers escorting tourists from one taxi desk to another in an effort to get them to pay "additional" fees - baggage fees, excess baggage fees, over-sized baggage fees, etc. These are bogus fees and only intended to take advantage of tourists caught in the hectic pace of a strange airport. Simply be aware of this. You only need to pay the fare once, and you will be given a receipt. The provided transportation in Mexico as stated in the itinerary is via private vans or buses. Hygiene - It is important that you wash your hands thoroughly before all meals and after using the restroom. If water is not available for washing, we recommend using a hand sanitizer. Water - The number one rule is: don't drink the water; and that includes shower water and ice! Brush your teeth with purified water rather than tap water. You should check bottled water for a good seal and use a napkin to wipe excess moisture from drinking glasses. Take care with fruit juice, particularly if it has been diluted with water. Carefully clean the tops of bottled beverages before opening. Excellent care for minor illnesses and injuries is readily available. In the event of more serious injuries or illnesses, we recommend transport to any of the level I care centers in Mexico City. Our tour operator, Sr. Reyes, is an M.D. and is Chair of the local Cruz Roja (Red Cross). He has clinics near the base of El Pico de Orizaba, in Tlachichuca, and in Mexico City. The official language of Mexico is Spanish, and little English is spoken or understood outside Mexico City. Mexico's attractions include its mountains, historical sites, archaeological ruins, fiestas, beaches, fishing, water sports, golf, bullfighting, handicrafts, music, dance, relaxation and moderate prices. Mexico is bordered by the United States to the north and Belize and Guatemala to the southeast. Mexico is about one-fifth the size of the United States. The center of Mexico is a high plateau with mountain chains on the east and west. Significant ancient cultures such as the Olmec, the Toltec, the Teotihuacan, the Zapotec, the Maya and the Aztec had advanced well before the day the first Europeans arrived on scene. In 1521, Spain conquered and colonized the territory which would eventually become United Mexican States (or Mexico). Independence came in 1821. The post-independence era was marked by difficulties which culminated in the Mexican Revolution of 1910, which subsequently ushered in the 1917 Constitution and the country's current political system. Mexico today is a federal constitutional republic. Mexico has the second-largest economy in Latin America and is a major oil producer and exporter. Though production has fallen in recent years, about one-third of government revenue still comes from the industry. Much of the crude oil is purchased by the US. The time in Mexico City is the same as the central time zone in the United States. Daylight savings time is practiced. The weather in Mexico City and while traveling to and from the mountains can be very warm. We recommend bringing a pair of light pants and a T-shirt. For current weather conditions, check Weather Underground. The people of Mexico are generally very warm and friendly to tourists. Personal relationships are very important, so developing rapport and trust is important. When entering a shop or home, politely use a greeting such as buenos días (good day), buenas tardes (good afternoon), buenas noches (good night). Similarly, upon leaving, even if you've had only minimal contact, say adios (goodbye) or hasta luego (see you later). Mexicans usually also accompany greetings with handshakes. Although it is not expected that we dress formally, we should dress modestly. Casual and comfortable clothing is suggested along with comfortable shoes. Showing expensive cameras, watches, jewelry, etc. is considered unseemly and may attract unwanted attention. Electricity in Mexico is the same as in the United States: the ungrounded two-prong plug is used for 110 volts, 60 hertz appliances. Appliances with 3 prongs or an enlarged prong will require an adapter. The official currency of Mexico is the Mexican Peso. Check a financial newspaper or www.xe.com for the current exchange rate prior to departure. We suggest bringing $500-$600 total for personal spending money including restaurant meals, drinks, pocket money, and the Support Staff Tip Pool. Having some small denominations is helpful. Cash machines are readily available in Mexico City, but become increasingly difficult to find outside of the main urban areas. There are several cash machines at the airport which makes it very easy and convenient to withdraw cash. While American dollars are widely accepted, we recommend changing money so that you have Mexican Pesos for airport porters, taxis, etc. Support Staff Tip Pool: We recommend that each climber contribute $50 to the Tip Pool. This is collected at the beginning of the trip and will cover group tips for all our support and mountain staff throughout the program. 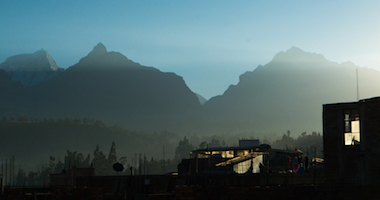 R. J. Secor, Mexico's Volcanoes: A Climbing Guide. The Mountaineers, third ed., 2001.
http://www.lonelyplanet.com/worldguide/mexico/ is Lonely Planet's guide to travel in Mexico. Wikitravel in Mexico offers good general information and links to explore. Insulated leather mountaineering boots are the preferred choice for ascents in Mexico. They provide the adequate insulation as well as the rigid sole for kicking steps and holding crampons. Plastic mountaineering boots are also adequate. 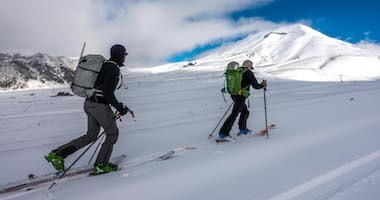 Though their stiffness makes them somewhat less suitable during the approach hikes, they are generally a warmer option for summit day. Bring one pair of chemical foot warmers if you are using the leather mountaineering boots. On Orizaba and Ixtaccihuatl - Mexico you will need 6 mountain lunches. All of your mountain lunch items should weigh 3 - 4 lb. We may have a chance to purchase additional food in Mexico but we recommend you take what you need and only supplement with local food if necessary. Because violence in Mexico remains in the news, questions about safety are among the most frequently asked. We have hired a reliable professional in-country tour operator to coordinate our in-country logistics. We have hired a local guide familiar with the language, roads, customs, etc. RMI guides are well-versed with our program and are accustomed to travel in a foreign country. Very importantly, we avoid areas associated with drug activity or violence (such as the US-Mexico border towns). Regarding corrupt policemen on the highways, we called our in-country operator and he offered the simple suggestion that you wear your seatbelts and don't text/use cell phones when driving, as these are illegal offenses which could prompt being stopped. We strongly advise against drinking tap water in Mexico. Bottled water is readily available and should be used for all drinking water. Personal water filters or water treatment tablets are not needed. What is the approach to Ixta like? Overall, Ixta is generally considered to be the most demanding of the Mexican volcanoes we climb. Much of this is due to the 5 to 6 hour approach with heavy packs needed to get to high camp. The approach, while difficult, is also beautiful and covers varied and rugged terrain, from forests near the Altzomoni hut through fields of grassy hummocks to the barren landscape near high camp. After reaching high camp (normally by early afternoon) we have the afternoon to review necessary mountaineering techniques for the summit climb, as well as some time to rest, relax, or read a book. Backpacks should weigh approximately 15 to 20 lbs as we only carry the day's snacks, water, clothing, etc. as needed on our acclimating hikes or summit climbs. The approach to Ixta is the exception. Then we carry 50 to 60 lbs (depending on the size of the climber) in order to establish our high camp. We travel at an appropriate speed to cover the distance we need for the day without going too quickly or too slowly, regardless of whether we are on an acclimating hike or on a summit climb. While the actual distances are relatively short, the altitudes to which we travel are very high and the days of hiking and climbing are still challenging. We prefer to stay in tents rather than the climber’s hut and set up camp a short distance away. We provide three-person tents for every two climbers. Basic pit-toilets are available near the hut on Orizaba and at the Ixta trailhead. En route, where no toilets exist, we use bio-bags to collect our solid waste so that it may be transported off of the mountain. We recommend that you bring hand sanitizer to use after visiting the toilets. We suggest bringing a smart phone or a wi-fi enabled device and using it where WIFI and internet services are available, as in Mexico City and Puebla. On the climbs, however, WIFI access is not available. Cell service is widely available across most of Mexico, see below. Sure, cell phone coverage is generally available in and around towns. Check with your cell phone carrier to see if they offer international coverage in Mexico and make sure you have the appropriate international plans and understand the associated rates. Yes. However the cold can impact the battery life making it necessary for it to be charged a few times on the trip. Yes, but if you wish to take it up on the mountain you will certainly need to recharge it once in a while using a personal solar charger. We recommend downloading all of your desired books before arriving in Mexico.